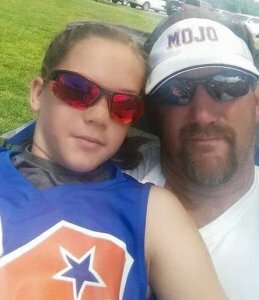 Ashtyn and Michael Danley have won national titles together with the Mojo organization, but their daddy/daughter relationship got off to a rocky start! 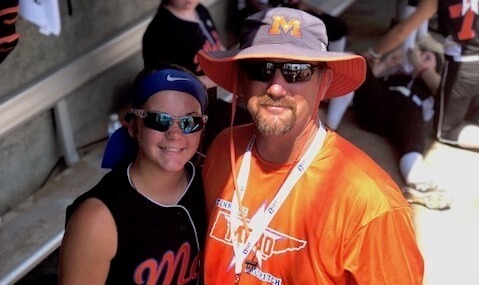 It’s been an amazing year for Tennessee Mojo 2023 Coach Michael Danley. 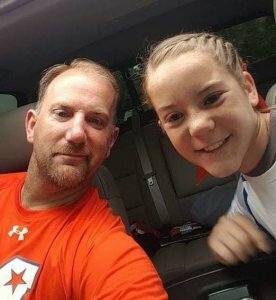 Last July, he led his 12U team to the PGF National Championship; in October, he and his Mojo assistant coaches were named the NFCA Travel Ball National Coaching Staff of the Year and in March, his daughter, Ashtyn—an outstanding pitcher/hitter committed to Florida State—was named as one of the very top players in the 2023 Extra Elite 100. But it hasn’t always been easy; in fact, Michael says his coaching days with Ashtyn almost ended before they began! Let’s just say a little butting of heads took place and the Tennessee resident realized something would have to change. Like with most dad’s that coach, there were some days in the beginning with Ashtyn and me that were tougher than others. Coach Michael and Ashtyn on their way to Chattanooga for a tournament. Fortunately, our relationship transformed into a very special one over the years based on love and respect on both sides. But, I have to admit, it did get off to a shaky start. I remember when we first started and would go work out at night when Ashtyn was eight-years-old. I felt she was getting lazy and not giving the effort I felt she could. Let’s just say a garbage can may have fallen over—I may have kicked it a little when walking by!—or a bucket of ball just may just have happened to get dumped out on the floor. Oops. Ultimately, in the early days we would leave the training session with me being mad and her crying. After getting home and reflecting on how I acted, Ashtyn and I had a talk and I apologized for my actions. I explained to her that if we were going to take the time to work on her skills, then we would have to work hard or we should just stay at home and do something else. I told her the next time we worked and I felt like she was slacking, I would tell her that once and if there was a second time I would pick up the balls and we would leave to go get ice cream. Well, the next night came and as we hit, Ashtyn slacked off so I picked up the balls and we left. She was upset—remember, she was just 8—but we went and got ice cream before going on home to the house. After that night, we never had to have that conversation again. Today, I love how she has matured and become a hard worker in everything she does. But, if it wasn’t for me changing, I don’t think she would be where she is today and I wouldn’t be the coach/dad I am today. 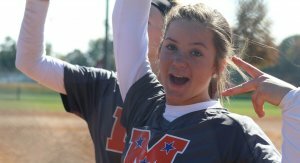 Coach Danley's advice: "Make sure the game is fun, but fun doesn't have to mean lazy or lackadaisical." If I could go back and give myself some advice it would be this: make sure the game is fun, but fun doesn't mean lazy and lackadaisical. Fun is loving what you do and working to be the best YOU can be—not what someone else is. The parent needs to determine (and accept) if it is something your kid really wants over what YOU want as a parent. It’s a very tough and tricky observation for most to have to make. I was at a camp not long ago and there were college coaches working with the kids and a few dads were coaching over the college coaches. I saw that, sometimes, the parents don't even realize they do it and some probably some don't care, but in the end it hurts the kids. 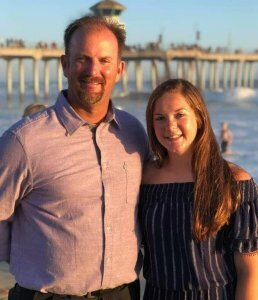 Dad and daughter dress up nice and enjoy their time together on and off the field. That's not a place I want to go to every day or probably not ever. I tell my kids all the time not to ever let a coach break you, but instead to be strong, resilient, powerful and confident. Still, you can choose your coach, but you can’t choose your parents so it’s on us, the parents, to be careful of this. 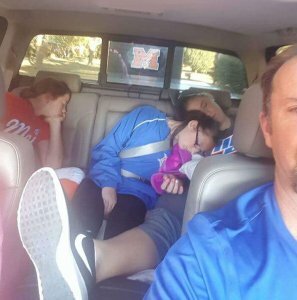 I ask each parent to look in the mirror and ask yourself with what you provide at home and the ballfield, “Is that a place you’d want to come to work every day? If it’s not, then change! Because if I could, then any one can!